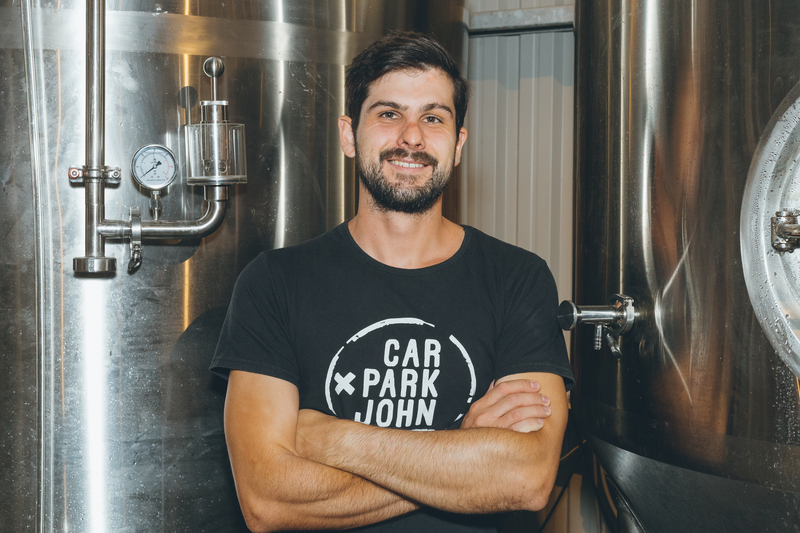 We caught up with Niall Cook, a talented young brewer who has been making waves in the Eastern Cape coastal city of Port Elizabeth with Richmond Hill Brewing Company. Niall is driving innovation, he has been an early adopter of canning and his brewery is well regarded for quality beers that don’t compromise on flavour with a range of delicious hop forward brews. He embodies the modern craft brewer and embraces collaborations with like minded brewers who are pushing the beer envelope. 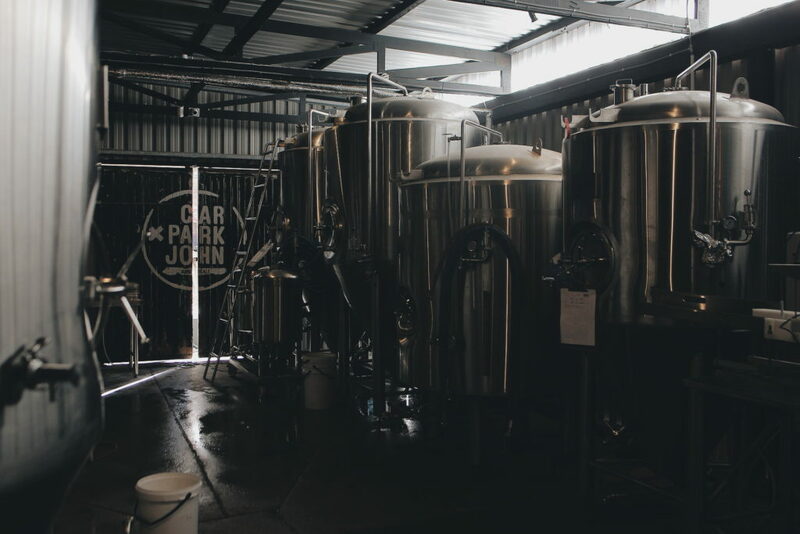 Niall like many others has painstakingly built a brand and brewery into one of South Africa’s finest exponents of fermenting the world’s oldest and greatest beverage. We asked him to take us way back. Where did it all start? What got you into brewing? What was your ‘aha’ moment ? Niall like many others was inspired by exposure to foreign beers while overseas. He set about learning his craft from the bottom and did an internship at Metalman Brewing Co in Ireland. He remembers the beer that changed the game for him, “Metalman Pale ale… It was just in a different league to what we were tasting in SA at the time. It was ultimately the inspiration for Car Park John, our Amber Ale”. Niall is well respected for brewing beers that are technically sound and with great flavour development. We asked him what his biggest priority was when it comes to brewing beer? “Definitely the ingredients. We will never compromise on our hops, especially since we make such hop forward beers. In addition we are very particular about our yeast and always make sure it is as healthy as possible,” notes Niall. One of RHBC’s recent hop bombs was their Coastal Cult NEIPA packed to the can seam with El Dorado, Citra and Africa Queen. 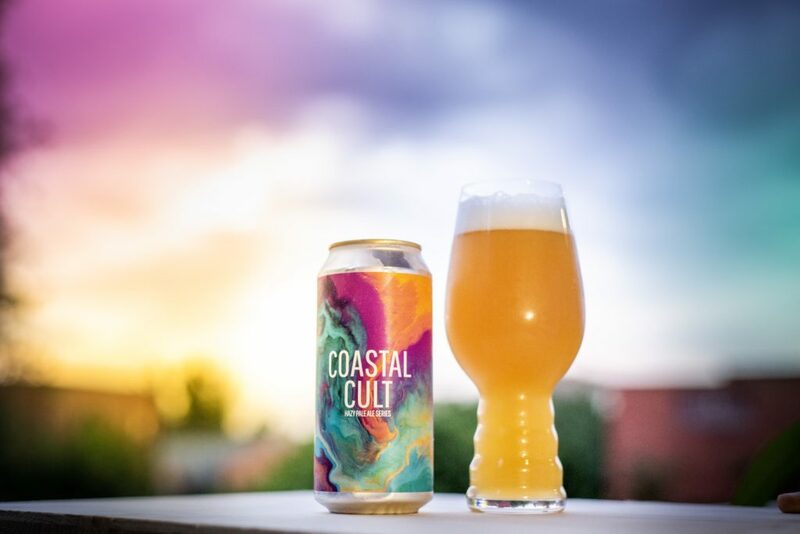 The Beer literally explodes with massive tropical fruit and citrus notes, a real treat that has only increased the cult status of this coastal brewery. Niall is a huge fan of citra, this hop varietal also has somewhat of a cult following with brewers, “can’t beat it when it comes to the balls to wall citrus punch” remarks Niall. Niall has not been immune to perhaps the South Africa’s craft beer scenes biggest challenges, access to quality raw ingredients. 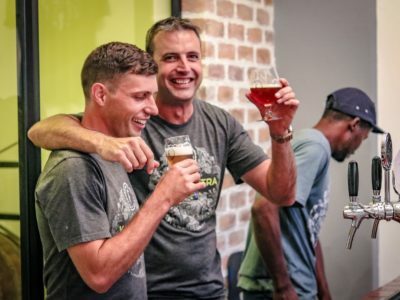 Ensuring a constant and fresh supply of hops has been an issue for many a brewer and being in the Eastern Cape away from major brewing nodes of SA has made it even more challenging for Niall and his startup. “Africa Hops has solved this issue for us with the much needed hop contracts as well as multiple allocations throughout the year. I have never had sub-standard ingredients from Africa Hops”, exclaims Niall. Niall continues to note that Africa Hops is a company that is owned and operated by brewers who understand small start-up breweries pain points and daily challenges, “They know our struggles as they have the same struggles themselves”. He continues to note that it gives RHBC a competitive advantage, “We don’t have to waste time explaining our issues. They already know what our issues are”. We proceeded to ask Niall potentially the most challenging question for a brewer to answer. We gave him the dooms day scenario that all beer styles would be extinct and he had the power to save three, which ones would he choose. “The world would be a very sad place without New England IPAs, Irish red ales and all experimental brews.” He cleverly circumnavigates that question and opens it up nicely with experimental brews which indicates his inclination for innovation and thinking big. Niall next big collaboration is with Marc Fourie Founder of Africa Hops and Riot Brewery. They will be brewing a dark and delicious dessert stout. We can’t wait to taste this and many more beers to come from this exciting coastal cult brewery. Keep up the good work Niall! Can’t wait to try out your dessert stout! Collabing with Riot will always be good! Very cool article, Niall can also be thanked for the amount of support and knowledge that he has shared with the Yeastern Cape Brew Club and other home brewing fanatics. Go Niall, the time is right for major expansion. Regards Gary Palm.